California has been a hot mess of weather this winter. One minute it’s cold and rainy and the next it’s back to summer heat, which means lots of dry and itchy skin. 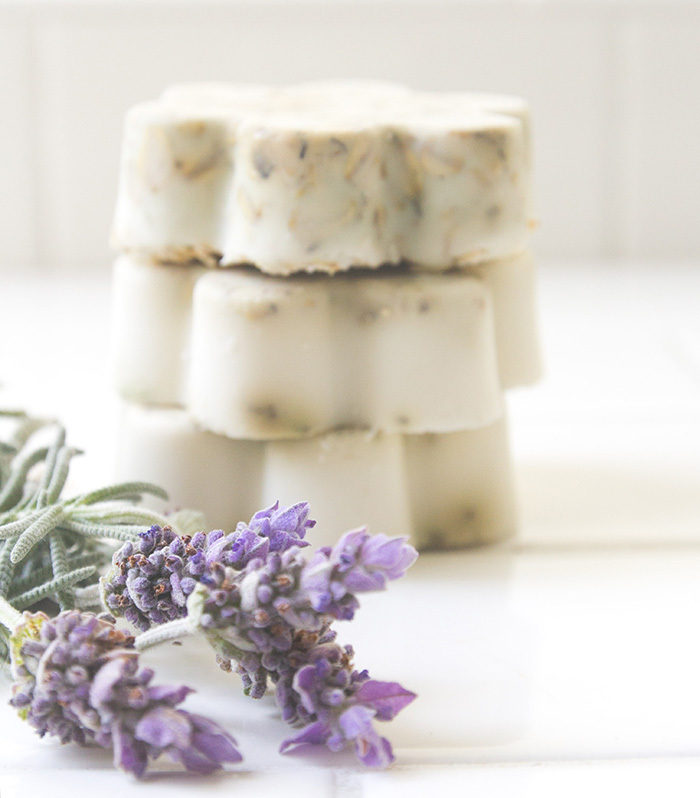 These lavender and oatmeal soaps made with shea butter are exactly the cure for that and smell wonderful. 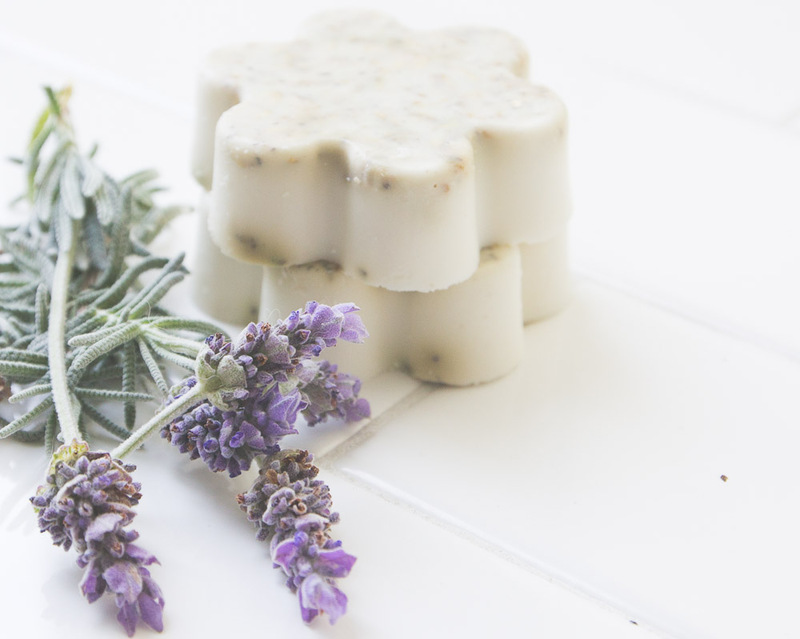 The oatmeal works as a moisturizing exfoliant and the lavender is calm and soothing. Make a batch to give to friends, or make a few in heart shapes for Valentine’s Day! Start by following the directions for the melt and pour soap. If you haven’t used it before you can check out Jacinda’s Ice Cream Soaps tutorial. 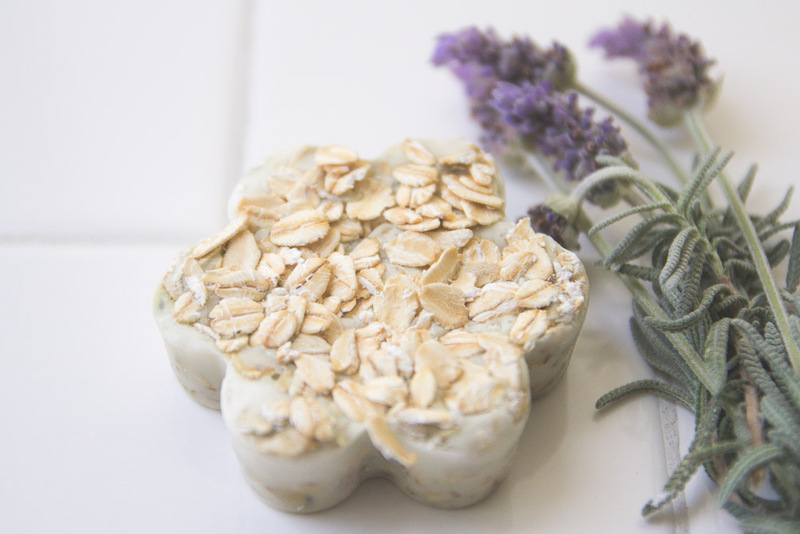 Once the soap is melted, pour in the lavender petals and oatmeal and stir. 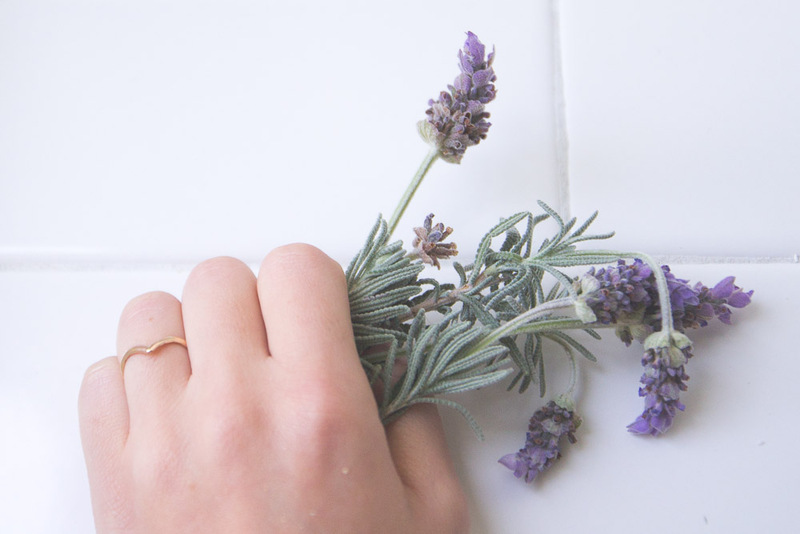 If you only have fresh lavender you can learn how to dry it with our Dried Flower Bouquet tutorial. Pour the mixture into your soap molds. If you want you can sprinkle oatmeal on top before the mixture dries. This helps with exfoliating your skin. Let the soaps cool and then pop them out of the trays to start using. You can also try our Dried Flower Clear Soaps, Rose and Eucalyptus Body Scrub, and Marigold and Honey Soap.